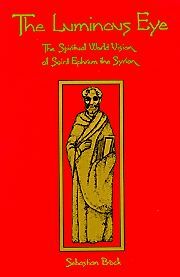 This spiritual worldly vision of St. Ephrem the Syrian, a fourth century Syriac Father who is relatively unknown, yet the author claims, should be grouped with the likes of St. Athanasius, St. Basil and the two Gregorys. This study of the spiritual world of St. Ephrem, explains his sources, symbols and theology. Softbound. 209 pp.